"This one is just lovely! I want to smell like this forever!" -Meg American Sweet Cream is layered with vanilla, milk, white honey, strawberry and citrus. 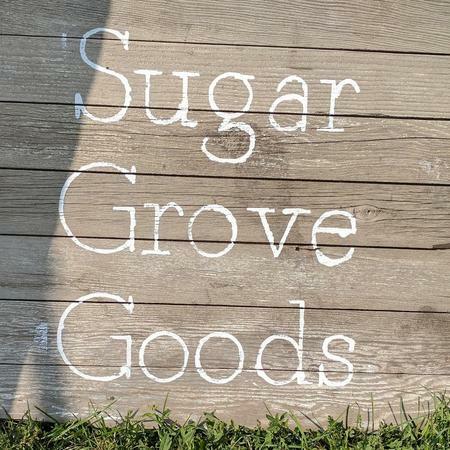 It is accented with notes of lavender, benzoin, and clary sage to give the sweet notes an earthy depth. 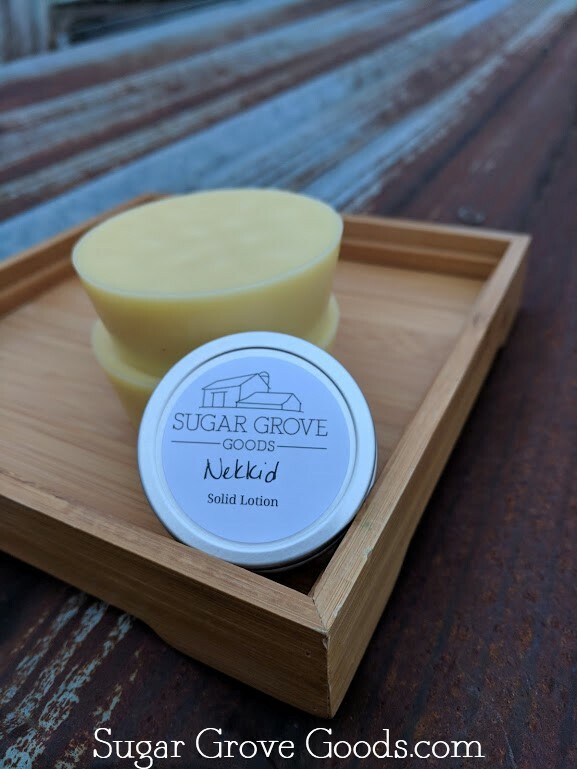 This 4oz Solid Lotion is the perfect companion to our Barbershop Goat Milk Soap. Our non-greasy, husband-approved Barbershop Solid Lotion is a masculine fragrance with a clean finish. This fragrance combines top notes of lemon, bergamot and cool mint, with a heart of lavender, green accord and sandalwood. A strong base of cedarwood, amber and musk round out this strong yet sweet aftershave type scent. 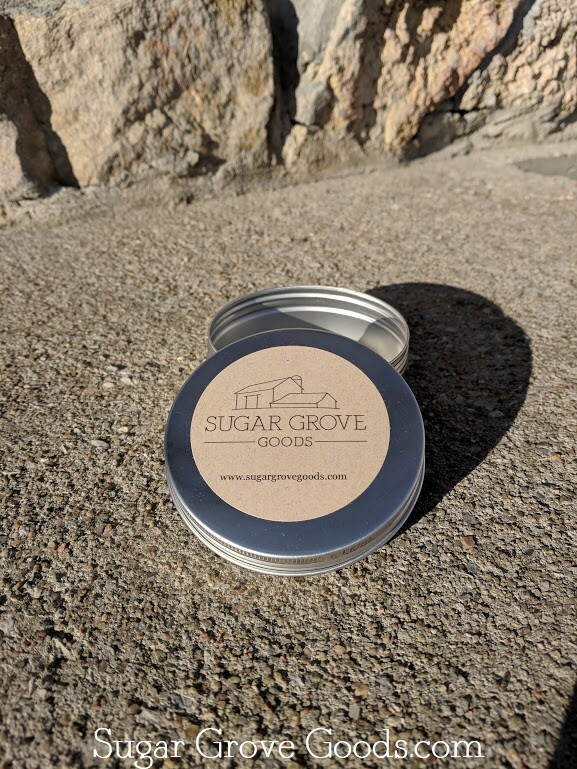 4 ounce tin, perfect for holding your lotion bar! This essential oil blend is a signature scent of mine. This minty, flowery and herby mix is just how I feel after a good yoga class! 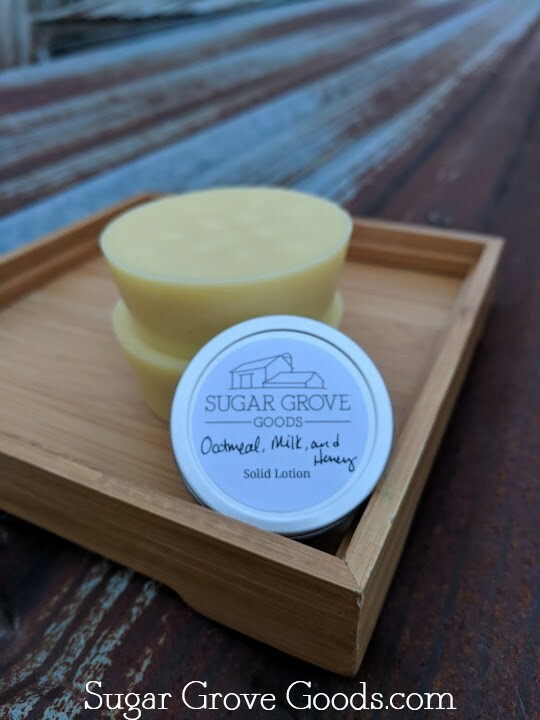 This 1oz Solid Lotion Tin is the perfect companion to our Barbershop Goat Milk Soap. Our non-greasy, husband-approved Barbershop Solid Lotion is a masculine fragrance with a clean finish. This fragrance combines top notes of lemon, bergamot and cool mint, with a heart of lavender, green accord and sandalwood. A strong base of cedarwood, amber and musk round out this strong yet sweet aftershave type scent. This 1oz Solid Lotion Tin is the perfect fragrance-free, no-fuss, non-greasy way to moisturize! This 1oz Solid Lotion Tin is the perfect no-fuss, non-greasy way to moisturize! This comforting fragrance combines the cozy aroma of warm oatmeal, fresh milk, and sweet honey. It's truly a crowd pleaser! This 1oz Solid Lotion Tin is a perfect non-greasy, low-fuss way to moisturize! Our Vanilla fragrance oil blends delicious vanilla with tonka bean and jasmine with notes of burnt caramel and sandalwood. 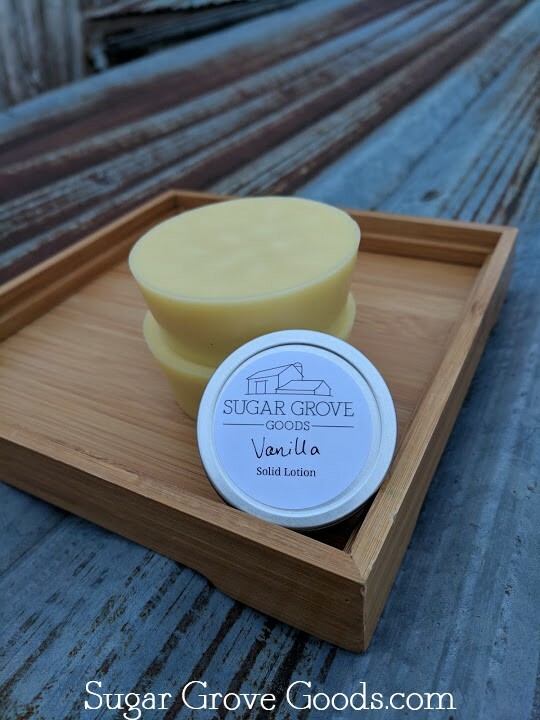 This 4oz Solid Lotion Bar is the perfect fragrance-free, no-fuss, non-greasy way to moisturize! 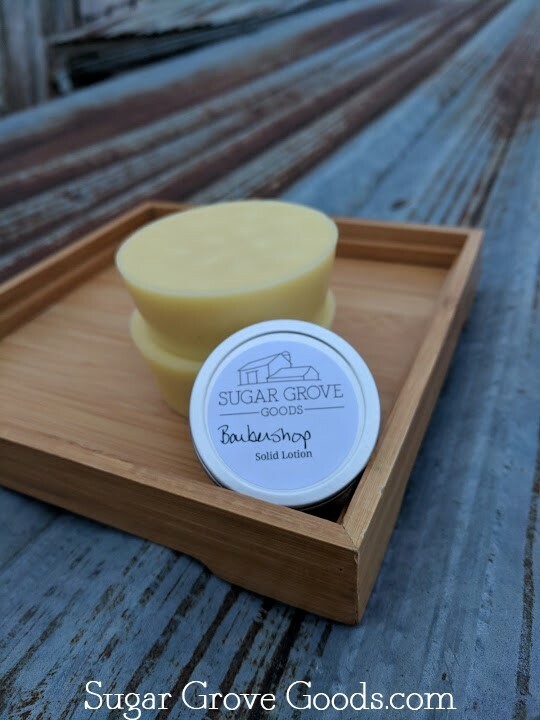 This 4oz Solid Lotion Bar is the perfect no-fuss, non-greasy way to moisturize! This comforting fragrance combines the cozy aroma of warm oatmeal, fresh milk, and sweet honey. It's truly a crowd pleaser! This 4oz Solid Lotion Bar is a perfect non-greasy, low-fuss way to moisturize! Our Vanilla fragrance oil blends delicious vanilla with tonka bean and jasmine with notes of burnt caramel and sandalwood.